YEATS, W.B (1865-1939). 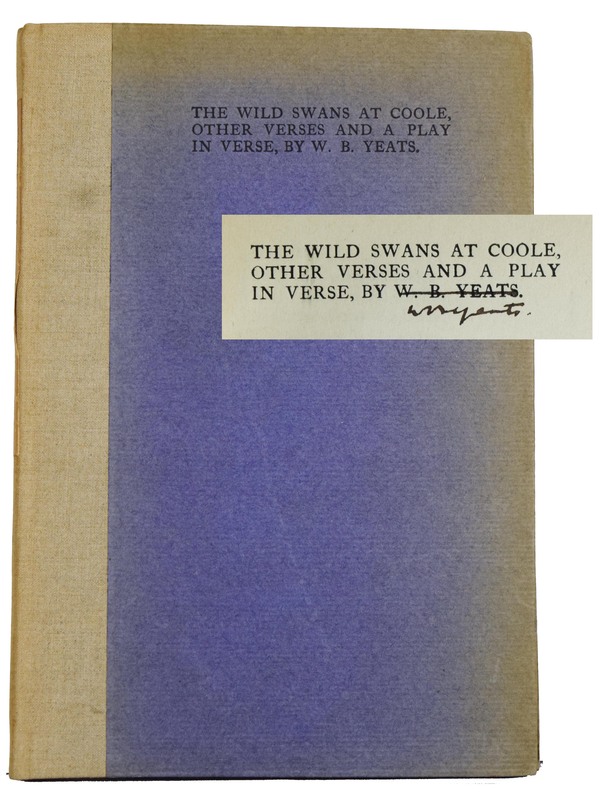 The Wild Swans at Coole signed by Yeats "WB Yeats" crossed out printed name. 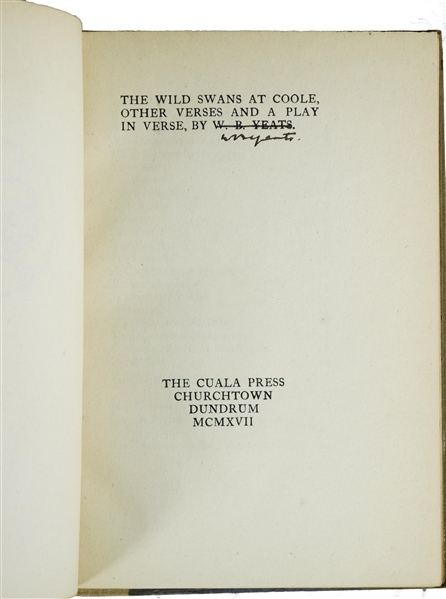 Dublin: Cuala Press, 10 October 1917. 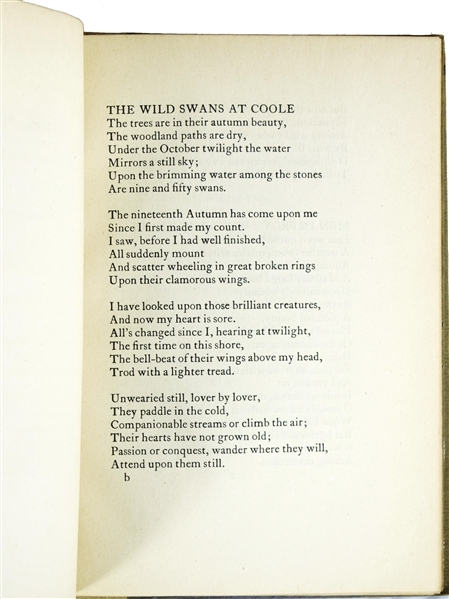 Small 4. 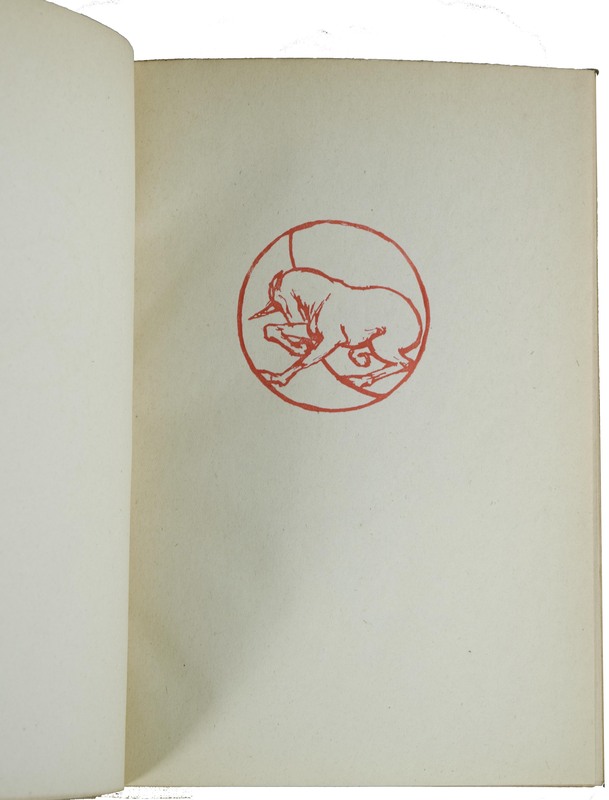 (213 x 137mm), publisher's device and colophon printed in red. Original hessian-backed blue boards lettered in black (Boards slightly sunned, otherwise a very fine copy.